We strive to know your vehicle and anticipate your needs. We take the time to answer all your questions about your vehicle's repairs, and if you desire, we will show you the problem while your vehicle is on the lift. If you work or live locally, we offer a free service to drop you off at your home, job, or train station with most repairs. We are a NYS Inspection Station and send out NYS Inspection reminder cards to you, to help you have one less thing to keep track of. We perform oil changes to motor changes and everything in between. We work on most vehicles, including '66 mustangs, antique Good Humor ice cream trucks, today's sleek sports cars, "clunkers", "grandma cars", and even help kids put air in their wheels: bicycle wheels!! If you keep up the maintenance on your vehicle, you'll end up saving time and money on repairs in the long run. It is important to have your oil changed every 3,000 or 5,000 miles (depending on your vehicle). 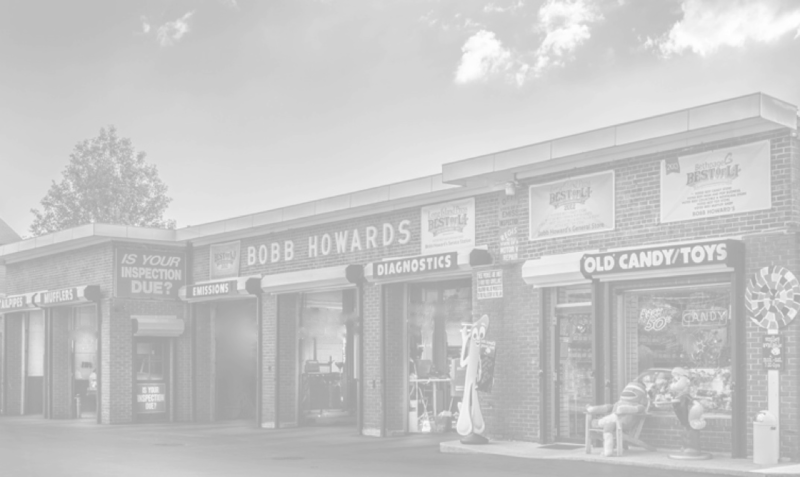 When we perform an oil change at Bobb Howard's, our techs do an 18 point safety check on your vehicle and note any worn or broken parts that might need immediate or future attention. Any recommedations are placed on your invoice and discussed with you when you come to pick up your car. All our repairs are guaranteed for 1 year or 12,000 miles (whichever comes first), and we even give lifetime guarantees on some parts! Did you know that you don't have to go back to the dealership for scheduled maintenance? We can do the work at Bobb Howard's, usually for less money and in less time! We also honor all mechanical breakdown insurance contracts. If you ever have a complaint or problem, PLEASE, let us know immediately!! !